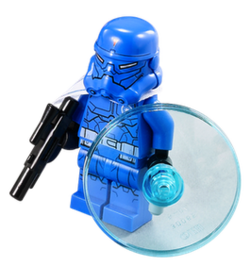 A Special Forces Clone Trooper is a Star Wars minifigure released in 2013. His helmet is the same piece as those of the Stormtroopers. Facts about "Special Forces Clone Trooper"
This page was last edited on 27 February 2016, at 22:12.